This chapter is a reflection of analyses, experiences and research on the opportunities and challenges of working with faith-based organisations (FBO's) in the context of global health. The purpose of this chapter is to demonstrate the important role that FBO's have with state and non-state actors in the development of communities in complex contexts. The role of FBO's in development are demonstrated in reference to the Author's work experience with FBO's, which form case studies in East Africa, and Timor Leste. Further analyses through literature build on these experiences to demonstrate the leading role FBO's can have with state and non-state actors, and the effects on public health. In the case study of Timor Leste, suggestions are proposed to overcome challenges and build on the opportunities of state and non-state actors incorporating the Catholic Church into health programs. In Timor Leste, as in other regions of the globe there is economic, political and social turmoil that impedes education, health care, and cultural and religious identities, and exacerbates poverty. There is definitely a need for a well functioning democratic state particularly in fragile states in need of peace from war. Other factors are the social and cultural norms in communities. Wolfgang (2005) argues that an actor that can guide a constructive debate between groups with different opinions can influence social change and transform a violent state with peace. Actors such as FBO’s have a significant role in peace transformation and teach values, that can help individuals and communities examine the social changes in their context. FBO’s influence can reshape ethics and moral actions that are essential for peace transformation and impact on health. What role does faith have in the development of communities? Are FBO’s effective for improving health outcomes and development of communities? What opportunities and challenges are there for states and non-state actors to partner with FBO’s for improved public health? How can we incorporate FBO’s into health programs within the context of Timor Leste? These questions were formed on the basis of my experience working with CMA and MAA at a national level and associated field work. Research was explored further with these questions in mind, and literature in this chapter will be used to demonstrate the important role of FBO’s in development, the associated challenges and potential opportunities for the partnership of FBO’s with state and non-state actors to improve public health. To highlight the influential role of FBO’s with citizens in the context of fragile and failed states. To stimulate the awareness of FBO’s as an important determinant of global health for all relevant international health stakeholders. Finally, to present the opportunities there are for state and non-state actors to work with FBO’s in the case study of Timor Leste, and suggest possible solutions for further research to be explored. This chapter will discuss the role of faith in development as a basis for the relationship of FBO’s relationship with citizens and state and non-state actors. The research and analyses applied in the context of Timor Leste is a model for further research in global health. 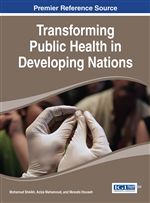 This topic is an important contribution to this book, as it represents an emerging field of global health and development that has not been researched in depth. The following analyses are formed on the basis of a combination of my work experience and observations in the field whilst working with different FBO’s and literature sought from journal articles, published books, state documents, reputable and organisations websites. Whilst working with MAA, in August, 2011 at the height of the emergency phase in North East Kenya, I visited the region for 2 weeks to work alongside the implementing partner, Waso Resource and Development Agency (WARDA). Together we assisted with providing emergency relief items, and assessment of further needs for development activities in water, nutrition, sanitation and health for the local and refugee communities for management and sustainability. This field experience stimulated my interest in aid and development assistance from Non-Government Organisations (NGO’s) and International Non-Government Organisations (INGO’s) role in Public Health, and the role of states and FBO’s in public health of communities.